Casual marijuana users tend to treat the word “cannabis” as a catch-all term for any product with cannabidiol (CBD) or other cannabinoids. However, cannabis is really more of an umbrella term that describes a number of species of the marijuana plant. One of these plants is cannabis Indica. While very similar in cannabinoid profile to its cousin, cannabis sativa, indica does have its own distinguishing traits that make it a highly sought-after plant for both recreational and medical cannabis users. Cannabis Indica strains originated in the Asian subcontinent and most primarily in Afghanistan. It was first catalogued by French botanist Jean-Baptiste Lamarck in 1785 after receiving samples while studying in India. Compared with the sativa plant, Indica is more compact and shorter in stature, usually reaching no more than two meters in height. The leaves are a dark shade of green with stubby and wide blades. Indica is also wider and bushier with denser foliage due to the flowers and buds growing in tighter and thicker clusters at the nodes. 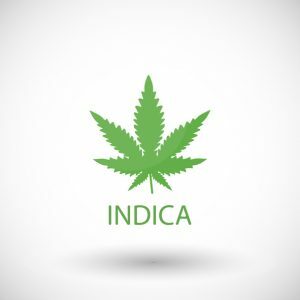 Indica has a different cannabinoid profile than sativa, though depending on gender and cultivating methods, the difference may not always be black and white. With this in mind, a cannabis plant’s strain isn’t always indicative of its CBD to THC ratio or presence of other cannabinoids. Generally speaking, though, Indica strains tend to have higher concentrations of THC. This is due to the resin that the plant produces to protect itself from the harsh climates of its mountainous origins. However, Indica strains grown in nurseries and other controlled environments may not have the same resin concentrations. Again, it comes down to the cultivation and breeding methods. The higher THC content in Indica is also why sativa is the more common strain used for CBD isolate products. Most CBD oil makers acquire CBD extracts from the Sativa hemp plant and usually from the stem and root rather than the flowers and buds, which has higher THC concentrations. Aside from cannabinoids, growers also carefully analyze the terpene content. Terpenes are the essential oils found in cannabis. Terpenes are actually present in most plant species and in some fruits. In recent years, though, the term has been largely associated with all things marijuana. As with cannabinoids, Indica and sativa have different terpene profiles, though we must stress again that there is a lot of overlap due to crossbreeding and cultivation techniques. Terpenes give the cannabis its distinct flavor. Some are also believed to enhance the bioavailability of the cannabinoids. Two terpenoids the Indica strain is especially known for are myrcene and linalool. Myrcene is known for its earthy aroma, while linalool is known for producing a sedative-like effect. The cannabinoid and terpene profile in Indica are believed to produce a more relaxed sensation, whereas sativa is said to make you more alert and energetic. As such, people generally take Indica in the evening and Sativa in the morning and afternoon. Indica is also helpful as a sleep aid and pain reliever. One other difference is that Indica is said to give users more of a “body high.” This means the effects are felt more in the body and not so much in the head, as some people believe to be the case with sativa use. The body high explains the sedative effects and ability to relax under stress. We must emphasize yet again that these traits are not exclusive to Indica. Grey areas exist, and Indica and Sativa now share various traits due to crossbreeding and hybrids sharing the desirable characteristics of both strains. Florida marijuana analysis is important regardless of the cannabis strain. However, Indica testing is even more vital, especially for makers that plan on producing THC-free CBD oil, vape juices, and edibles. Even in a CBD-only extract, the higher THC-resin content means more risk of contamination from the psychoactive compound. Under Florida law, THC above the federal 0.3% limit is only permissible in cannabis products intended for certain medicinal uses. Testing verifies that extracts only contain what is labeled on the bottle. Aside from THC detection, testing also determines CBD content per X volume. If testing a full-spectrum product, our lab can do the same for the other cannabinoids. Analysis also determines a product’s terpene profile. Finally, cannabis testing is vital in order to detect traces of potentially harmful contaminants, which may be residues from the soil or the chemicals used during the extraction process. Modern Canna tests all strains of cannabis, including Indica, Sativa, and hybrids. Submit a small sampling of the plant or extract for analysis. This is the first and most crucial step in ensuring state compliancy and quality assurance.